You are here: Home > FI > Energy > Copperbelt Energy Corporation Plc > New Board Members at CEC? Interesting..
New Board Members at CEC? Interesting..
Posted on September 3, 2018 at 3:56 pm. It came as quite a curious surprise that following the failure of the CDC acquisition of CEC, energy maestro, Hanson Sindowe was retiring at Chairman of the Board of Directors of CEC Plc. Hanson has enjoyed an illustrious career in the energy sector. Some would even say that he is one of the most important figures in industry when one discusses energy in Zambia. He was a foundering shareholder of CEC when he participated in the privatization of the Company in 1997 as a member of the management buyout team. One of the few men and women that had the opportunity to be on the “right side” of history. The outgoing chairman held various senior management positions that saw him take over CEC as Executive Chairman in 2006. 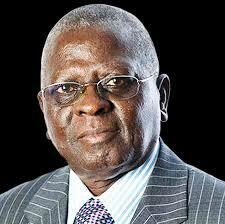 If his tenure had to eulogized, it would speak of achievements such as presiding over the flotation of CEC shares to the public, making CEC Plc Zambia’s first and only publicly listed Electricity Company in 2008. Overseeing the company’s growth organically (scoring year on year profit increases) and inorganically (attracting much need equity for capital project purists), Hanson began his slowdown in 2014 when became a non-executive director on the board. Now, just when we thought Hanson was the only one stepping down, SENS Announcement of 15th August 2018 and the board announces two additional retirements in Micheal John Tarney and Dr. Sixtus Mulenga. The SENS announcement does not elaborate on what influence the two had on the board but it is clear from their replacements that CEC Plc is in transition. A review of the new recruits sees the coming on board of an investments expert and a private equity specialist. The board announced the appointment of non-executive director Thomas Featherby who is currently Chief Investment Officer of Rondine Capital LLP. Rondine is an investment firm which focuses on listed companies in Sub-Saharan Africa and is a long term shareholder of CEC. He is a Cambridge graduate and his career has seen him execute transactions and portfolios in excess of USD5 billion. He is an alumni of Helios Investment Partners, Vermilion Partners Ltd (Beijing) and Lazard & Co (London). The second recruit is Derek Chime who is Private Equity Africa Director at Standard Chartered Bank. Derek brings emerging market experience as he has been an investment professional with over 8 years’ experience. He was directly responsible for managing around USD450 million of invested capital under a USD900 million Africa fund. His sphere of influences is felt across 5 portfolio boards on which he sits on and has sector knowledge of power, manufacturing, financial services and telecoms. He is an alumni of University of Lagos and has work experience with Vetiva Capital Management. We are not conspiracy theorists but if we were holding CEC stock and we just came out of a failed transaction CDC and investment and private equity specialists came on our board, we would automatically assume that the board still desires an exit for its investors and capital raising for the energy company (through equity sale). More so, with Standard Chartered Private Equity also having shares in CEC Plc, it is only prudent for their interests to be closely monitored and Derek is their man. The two new recruits to the CEC Board bring the sort of acumen that is critical to close deals and it is clear that this board will be keen on attracting investment. Their sphere of influence will have them knocking on important doors. Financial Insight believes there is more to come from the company in the next coming months. The information contained on this website is for general information purposes only. While we endeavour to keep the information as accurate as possible, we make no representations or warranties of any kind, express or implied, about the completeness, accuracy, reliability, suitability or availability with respect to the website or the information, products, services, or subject companies or matters contained on the website for any purpose. Any reliance you place on such information is therefore strictly at your own risk. Copyright Financial Insights of Zambia 2017. All rights reserved.